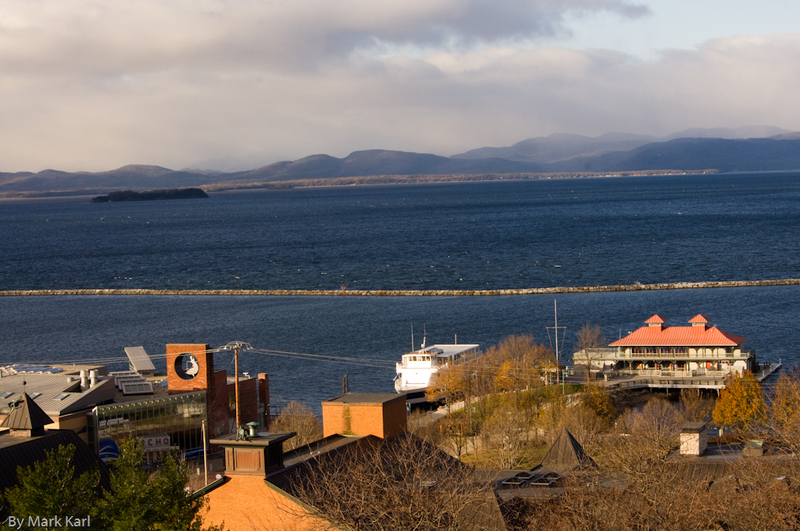 Eileen and I decided to hang out in Burlington, Vermont for a couple days during the Thanksgiving holiday this year. We got a room at the Hilton with a nice view of Lake Champlain. We were a few blocks from the ECHO Lake Aquarium and Science Center, which we planned to visit.The Hilton is only a few blocks from the Burlington Town Center shopping mall and Church Street Marketplace, which made it convenient for dining adventures and shopping. View from our Burlington, Vermont hotel room at the Hilton. I really enjoyed the lake view room. The vista was always changing with the movement of the clouds, sun and weather. At times it was cloudy over us in Burlington while the sun was shining through the clouds making a patchwork of sun and shadow on the Adirondacks across the lake in New York. On Saturday we went over to the ECHO Lake Aquarium and Science Center. What a wonderful little museum! I was looking forward to seeing the Lake Sturgeon in the Lake Tank. I was not disappointed. The Lake Sturgeon is an impressive fish. They also had a large Channel Catfish and Freshwater Drum fish. Naturally I had to stop and admire the Eastern Brook Trout tank for a while. We went up to the Church Street Market for lunch. With so many good places to eat choosing one took time and we ended up having a late lunch. We finally decided on Sweetwaters Restaurant. It was worth the wait. What a wonderful place. We got a seat with a view of the street so we could watch the shoppers go by. 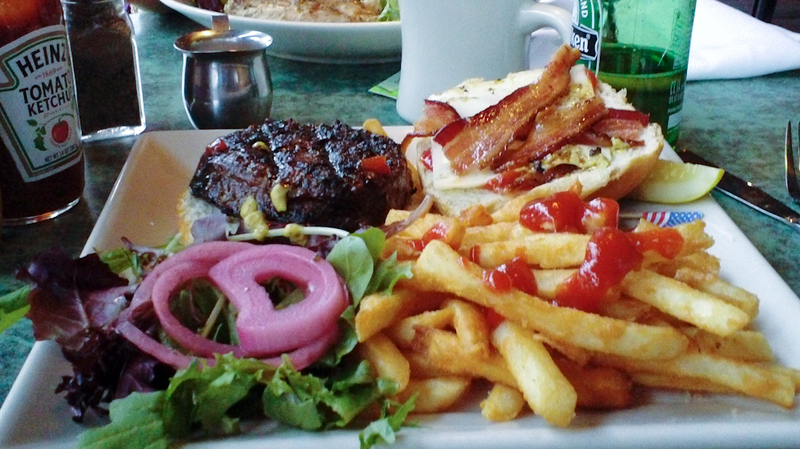 Kobe beef burger at Sweetwaters Restaurant in Burlington, VT. I got to have my first Kobe beef burger! I had heard so much about Kobe beef I had to try one. It was a thick burger, nicely grilled and extremely juicy. After lunch we poked around a few shops on Church Street. I drifted into Saratoga Olive Oil. I was blown away! They had an amazing selection of flavored olive oil, sea salt and balsamic vinegar. They have little cups and cubes of bread or crackers so you can sample the products. I enjoyed trying the 18 year-old balsamic vinegar from Modena, Italy. Since we had a late lunch we both wanted something lite for supper. We found the perfect place at the Asian Noodle Soup Shop on Church Street. I had a Cargo Noodle Soup where I could mix and match noodles, protein and broth from multiple Asian cultures. While the portion was more than I could eat some warm soup hit the spot for a lite supper on a cold night. The Sunday morning view from the room was nice. This time we had sunshine over us in Burlington while watching rain and snow squalls in the Adirondack mountains across the lake. View from Burlington, Vermont on Sunday morning. 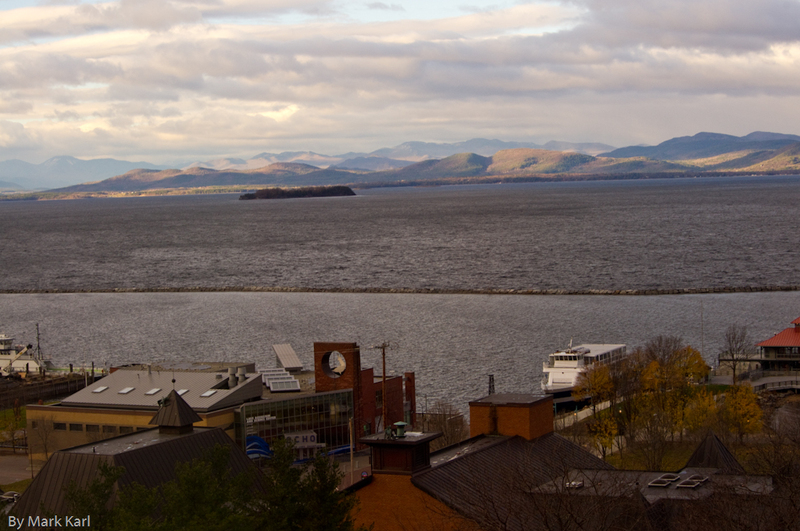 View southwest from Burlington, Vermont with Giant Mountain in the distance. I used Google Earth to identify some of the mountains on the far side of the lake. I think the mountain in the distance with the exposed rocks on the side is Giant Mountain. 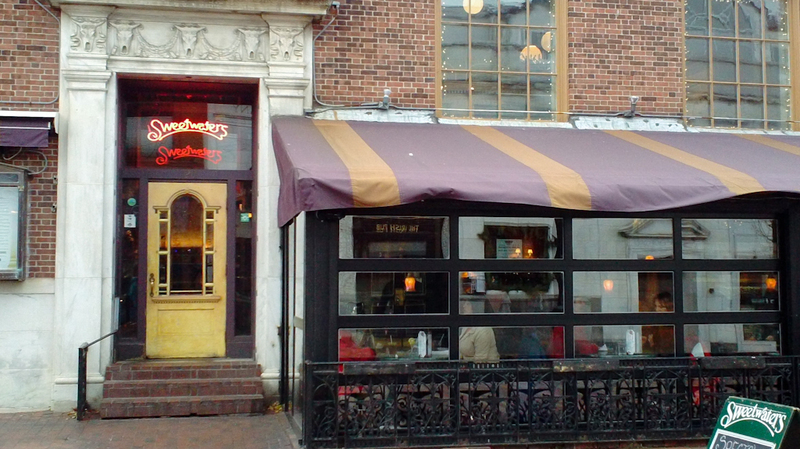 For breakfast on Sunday we tried Henry’s Diner on Bank St. The outside looks like a building so I was not sure what to expect on the inside. 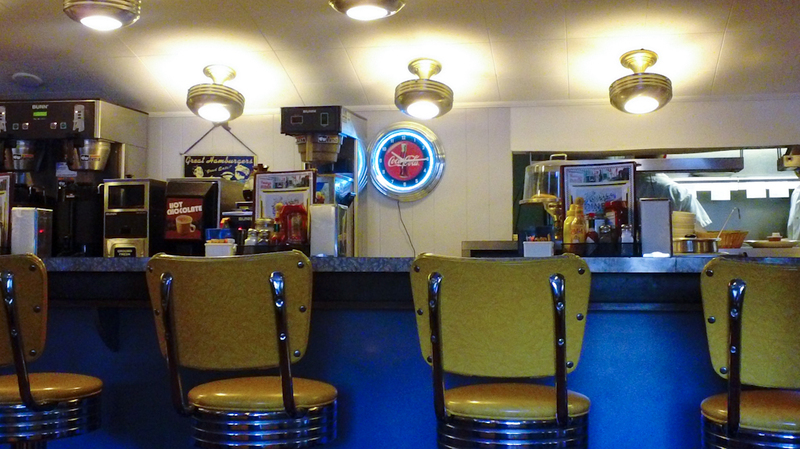 I discovered that at least a portion of the interior does have the look of the classic diner car. Eileen and I both enjoyed the food and the prices were decent. A simple, low cost breakfast before going home was just what we were after.